Dad started me out taking inventory after school and on Saturdays. I later did all kinds of work from mowing the grass to assembling tractors & other equipment. I had some very good teachers such as my dad, Bill Davis, and owners Jerry Rushing, Red Smith, and Charlie Buhl. Working there and riding my dad's G Allis led me to develop a love for this great "orange" tractor. 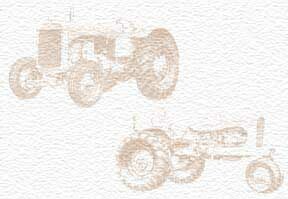 Today I have 9 AC tractors and a restored AC farm wagon. I would love to hear from anyone about old AC stuff or get pictures of old AC dealers. Thanks!